Plus Size Kitten: Buy 1 Get 1 Charles Worthington Shampoo & Conditioner! 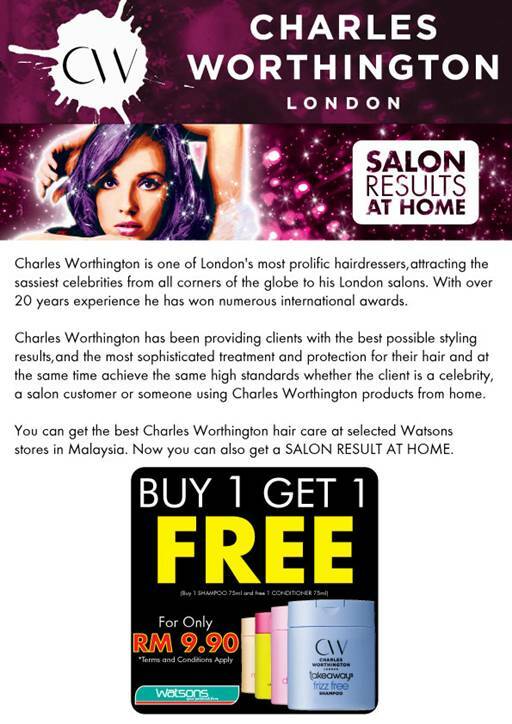 Buy 1 Get 1 Charles Worthington Shampoo & Conditioner! itching to try the latest shampoo & conditioner in the market? flown from the UK! they're salon results that you can get at home! Going to check it out..
wah thera.. u miss me ah..